As promised, I will be featuring my fellow SoMoms' My 3 Things here. After sharing their three things, I found that we like and use the same stuff! 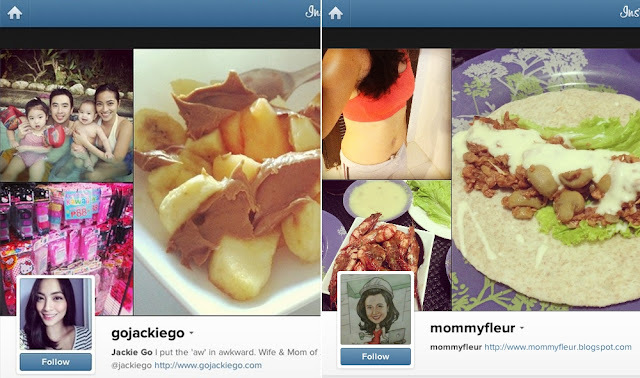 I guess it reflects our similar lifestyles and interests, being all moms and active on social media. 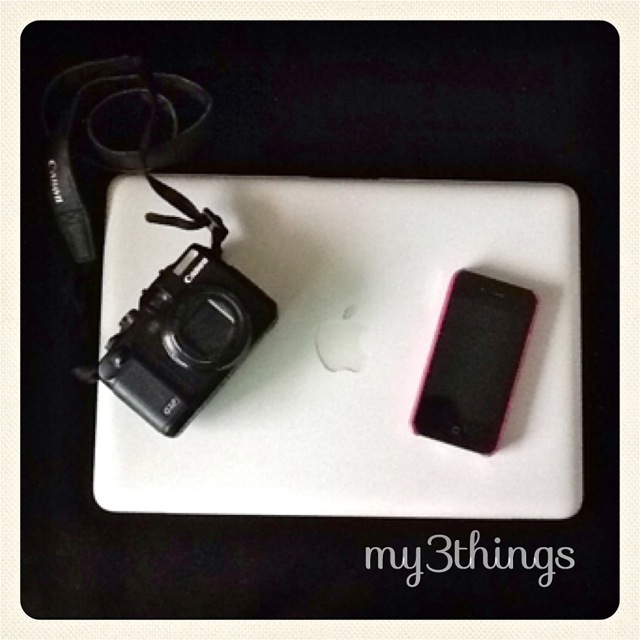 Last time, I shared Jen's and Jenny's, and today, here are Jackie's and Fleur's #my3things. Here's a photo of my 3 things. These are the 3 gadgets that I use for blogging and doing my online activities such as shopping & sharing photos of myself, my family, and the things I find pretty and relevant. Macbook laptop - It has been with me since 2010 and this also somehow "launched" my blogging mojo' coz I documented my purchase of it and shared it on my blog. Although I like this, I'm thinking of selling it to buy a lighter one - perhaps a Macbook Air, one that I can bring along wherever I'm mobile. Canon G12 - I've always wanted an SLR camera, but the weight and bulkiness have always pulled me back from buying one. So, Mr. GJG and I decided to get this camera instead. Somehow it's a point & shoot with DSLR features. iPhone - I'm an Instagram addict, and being online 24/7 has become part of my offline life. Ironically crazy I know! 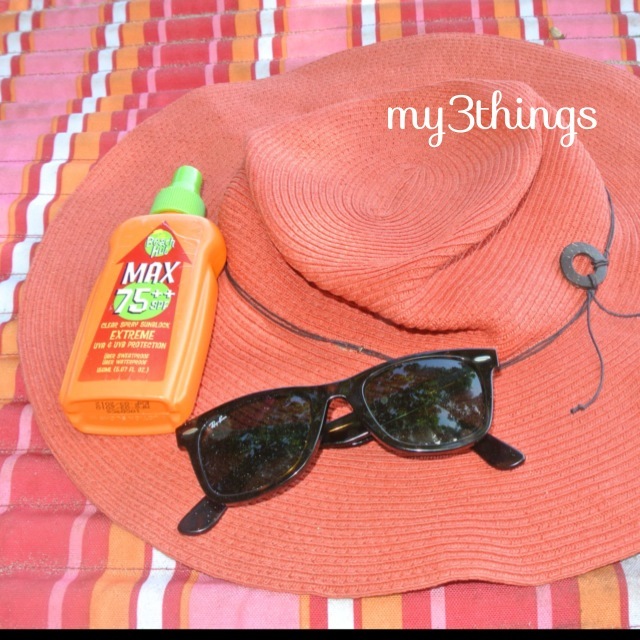 Here are my three things that I absolutely need when I go to the beach. Obvious ba na super ayaw ko sa sun!? LOL! It's because of the vitiligo on my face near my eyes. Hindi siya pwedeng maarawan, dadami daw. I don't like... kaya kulang na lang, takpan ko buong fez ko whenever we go swimming. Big hat from Apostrophe - I love this hat because aside from mukha akong donya while wearing this, it covers most of my face from the sun. Yun lang, I have to be careful while wearing this kasi naman talagang waley na ikaw makikita because it's too big lol. Nevertheless, it's perfect for me! Ray-Ban Wayfarer sunnies - This pair is my absolute favorite. Parang hindi siya na-lalaos di ba? Beach hut 75 SPF sunblock - This is the winner among the three items I need para hindi tuluyan maging egay sa beach. This is the sunblock with the highest SPF that I could find. I have to put this an hour before sumabak sa sun. Do you use any of the stuff they like? 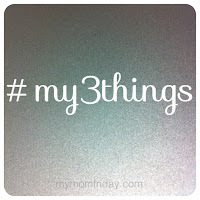 Watch out for more interesting #my3things from the next batch of SoMoms! To shoot and share photos of groups of things that I use together or consume regularly. 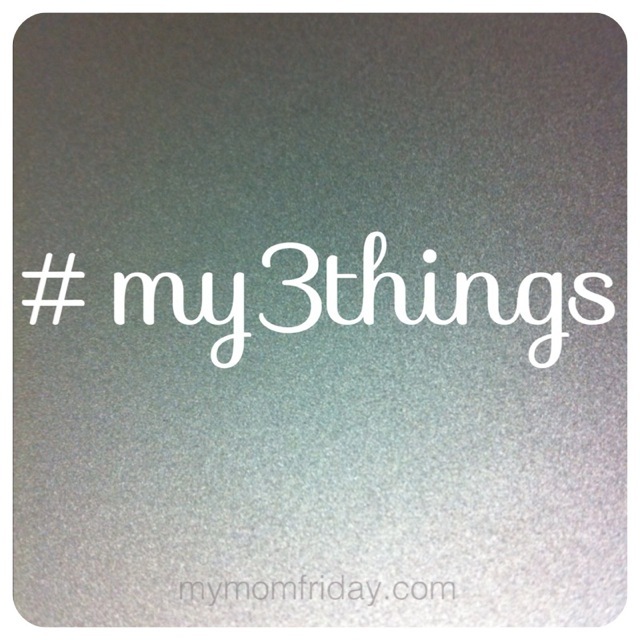 If you are following me on Instagram, Twitter, or Facebook, you will see #my3things instantly.